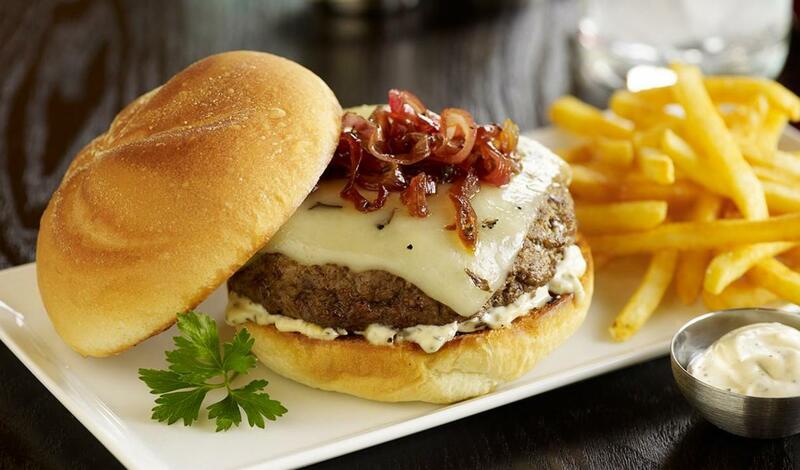 A sophisticated burger with shallot marmalade and black pepper mayonnaise made with Hellmann's® Real Mayonnaise. Cook shallots in oil until softened. Add brown sugar, vinegar and thyme; cook, uncovered until mixture is thickened. Cool. Combine the fresh ground black pepper with Hellmann's® Real Mayonnaise and reserve. Grill burgers until desired temperature is reached. When burgers have nearly finished cooking, top with 1 slice cheese. Cover and continue cooking until cheese melts. Spread bun evenly with Hellmann's® Mayonnaise; griddle until lightly browned. Spread with prepared Black Pepper Mayonnaise and top the burger with the prepared Shallot Marmalade.